With the changes that credit card companies faced from the onset of new rules recently, people who use credit cards to make purchases must adjust the way they work to improve their credit score as well. Credit card users are still advised to make their regular payments in a timely manner, refrain from having a high outstanding balance, and avoid having too many open credit cards at one time. A few of the old credit score rules might be changing due to credit companies adapting to the new rules and searching for a profitable way to operate their business. An example of this change: Several credit card companies set a yearly fee and/or a dormant account fee around the time these new credit laws came into effect. Credit card holders are now forced with the choice to incur the fees or close their accounts. Closing an account isn’t just shutting down a means to credit. Consumer’s credit scores can be adversely impacted by shutting down a credit card. This is why we’re advising that credit card holders research their options before making any hasty decisions. In the past, credit card holders have been told that having several lines of credit open would damage their FICO score and also lead to a large amount of debt. That currently applies, however, credit card companies continue to lower their limits. Not having enough credit cards endangers a different part of your credit score: the amount of credit you currently use versus the amount of credit you could be using. This factor produces up to 30% of your FICO score. The more credit cards you have means the amount of credit that has been offered to you is greater. Also, the credit card issuer has more choices available if they decide they no longer want to issue you credit. 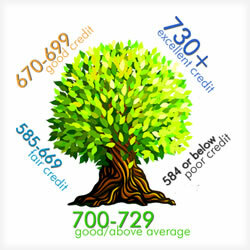 In general, several credit cards will benefit your score as opposed to just a couple or a single card. You don’t need to worry about taking all these steps within a day or two — this plan is something that should be planned out and done gradually. Let’s say you only have a couple of cards open, this is an ideal time to open another. You should hold off for about a year before applying for more. How do you decide which cards to max out? It depends on how much the credit card company is reporting to the credit bureau companies. Some companies won’t tell the bureaus what the limits are on your cards. All versions of American Express cards and other high-standard cards fit into this category. The system used to establish credit scores finds this kind of account and passes it up when it comes to determining how much credit you’re using. It may also interchange your credit limit and your high balance point on the card. Both TransUnion and Equifax skip over credit cards, according to experts. It used to be that credit card holders were told to ask for decreased rates of interest. Now if you ask for a reduced rate, your account may come under review. Should the credit card company see something they’re not happy with they could limit your line of credit or increase your rate of interest instead of lowering it. Once again, here’s an example of when having more than one card might be to your benefit. If a creditor increases your interest, you can put the balance of that card onto a different one. Before the new rules came into play, increased interest would be added to the balance already on your card and also toward any purchases you made in the future. Now, however, credit card companies can only add increased rates toward your balance moving ahead. If you get your balance paid too far down, that card will no longer count toward your use of credit, and that could lower your FICO score. Experts are now telling card holders not to separate their business expenses from their personal ones. The new card rules don’t affect business credit cards. Having a regular credit card to use for personal as well as business purchases is more secure, however, if you incur a ton of business purchases, using only one card could damage your credit score. New to the Credit Game?